We have all suffered waiting endlessly at the airport for our flights. Sometimes for short distances like Delhi to Jaipur taking a flight seem to be longer that the real road journey. You leave early to reach the airport two hours before for check-in then the invariable delays due to air traffic congestion. But I never thought one day I would be sitting on the tarmac waiting patiently for my flight to take-off. 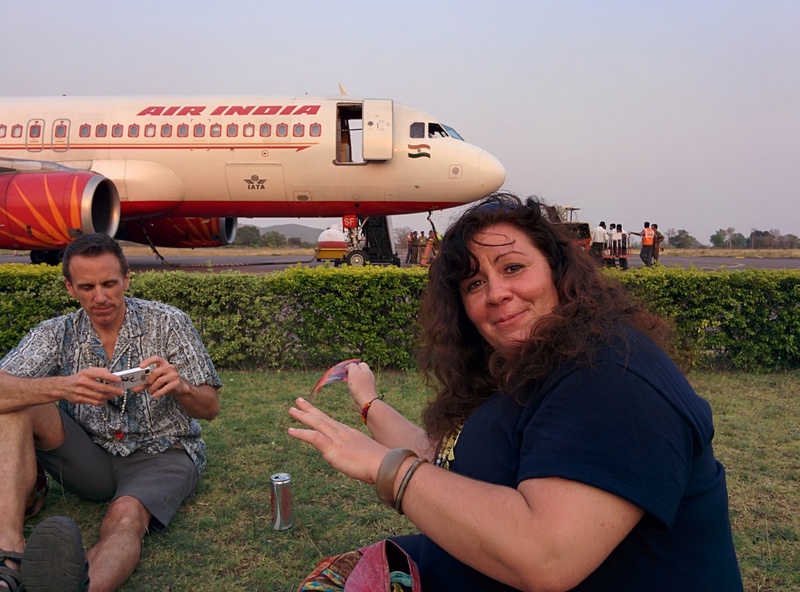 Traveling with clients who were first time visitors to India, they were unfortunate enough to find themselves in this situation with me. Our Air-India flight from Khajuraho to Varanasi refused to budge even after several attempt to resuscitate it. Was it Karma ? Whatever the case our friends were very understanding and took everything in their strides.